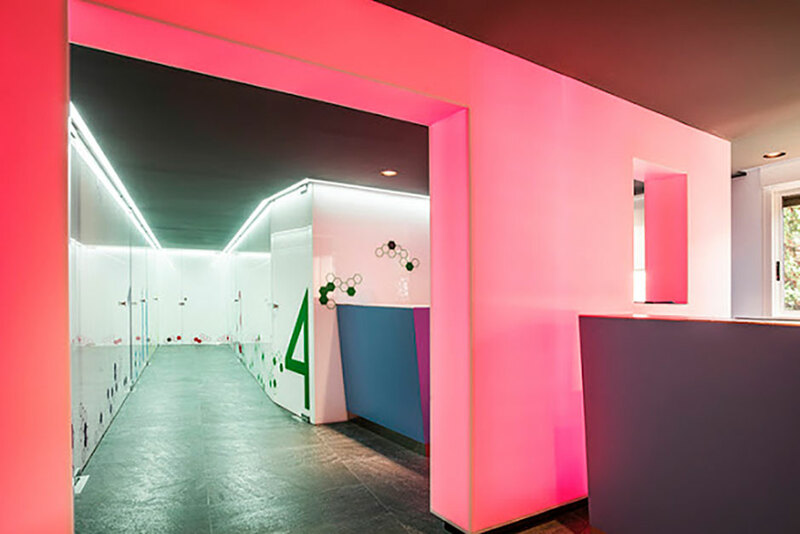 Octogono Interiores interior design studio and Juan Rojeski were responsible for designing this Dental Clinic. 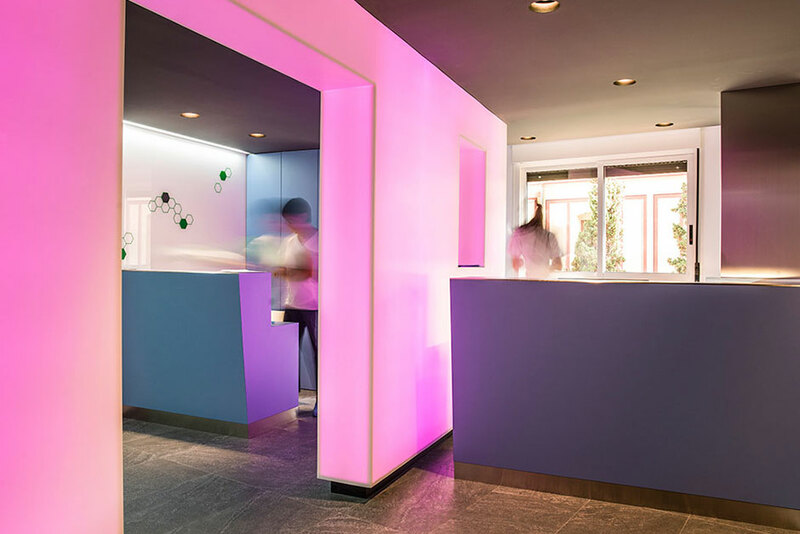 The interior of this innovative clinic includes a wall made from Krion® Light Lux, backlit by a chromotherapy LED system. 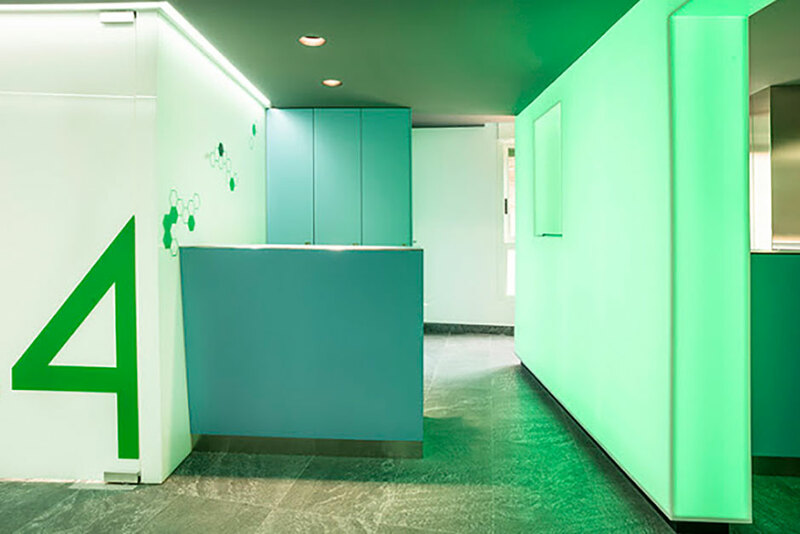 The play of lights on the wall helps to create a warm atmosphere that helps to relax stress levels in the waiting room prior to a seeing a specialist.